Born in Bolton, Simon grew up in Stoke-on-Trent in Staffordshire and started playing the piano aged 8. He attended Chetham's School of Music in Manchester from the age of 16, before studying at the Royal College of Music in London. Today, he is in demand as a soloist and chamber musician, and holds positions including Director of Music at Conway Hall in London. 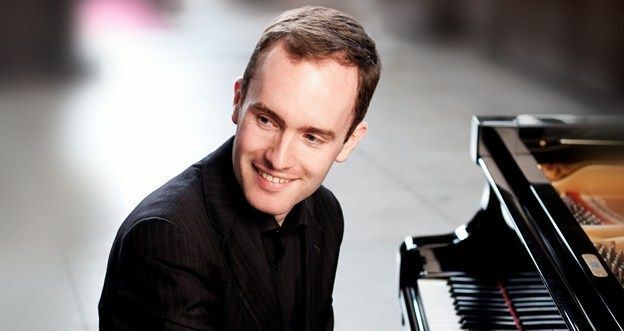 Simon is a Steinway Artist, and his solo career has seen him perform in the biggest concert halls all over the world. His recent work with the BBC Scottish Symphony Orchestra has resulted in the first ever recordings of music by English composer Roger Sacheverell Coke. How did your life as a pianist begin? 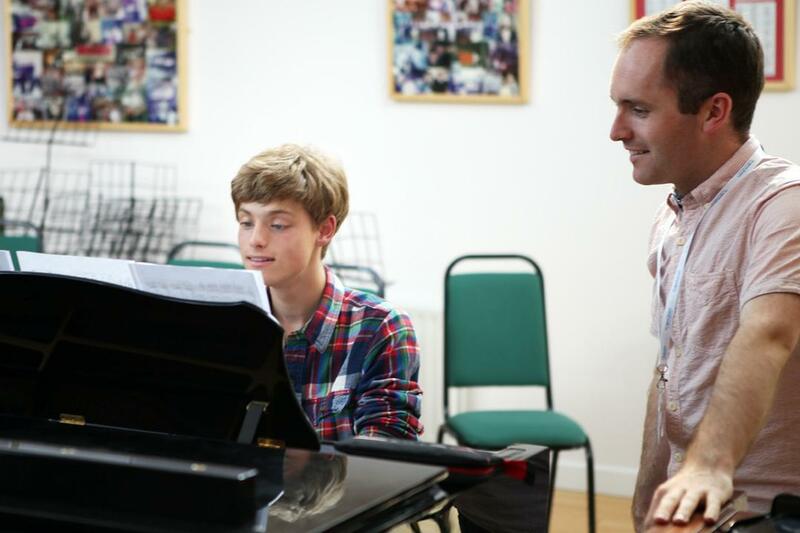 "My teacher never talked about 'practice' - so playing the piano at home was something I learned to love, rather than dreading compulsory hours of scales. The school I went to until I was 16 had a tiny music department, and not many other students studied music like me. 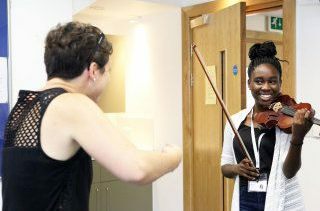 I took my GCSE and A-level music exams early, and felt like a big fish in a small pond - it wasn’t until I went to Chetham’s that I quickly learned the meaning of real practice! Being around other talented musicians really made me up my game. I learned the importance of hard work, and set my sights higher for the future." "Yes, although I think perhaps I was naïve about what that would mean! I was just obsessed by the piano, and couldn’t even imagine having any other career." Does your life as a professional pianist live up to your expectations? "Honestly, when I was younger I had very little idea of what being a pianist would involve. I imagined giving concerts and recitals, but besides that I had no clue what a career as a pianist really meant because nobody I knew - my parents, relatives and friends - had any contact with the musical world. I didn’t even go to my first concert until I was 15. My school didn’t offer any guidance on careers, so I was left to figure it out as I went along. In retrospect, I think this worked in my favour, because it meant that I had no fears or inhibitions about whether I was well-suited to the career, or if I was good enough." What does your career as a freelance pianist involve? "The biggest misconception about being a pianist is that you can just do recitals and nothing else. Maybe it was a different world 50 years ago, but nowadays very few people can make a successful career doing only solo performance. The most important thing for me is to be as versatile as possible, and I really enjoy the variety in my career. 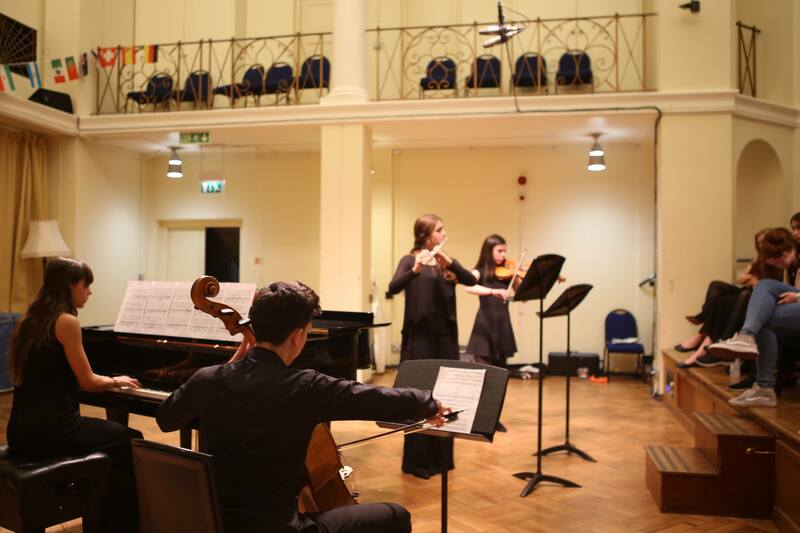 My work does involve regular solo performance, but it also involves playing chamber music, organising concerts, performing at private events, teaching... I don’t see any reason to restrict myself as the variety of work keeps it interesting, and they're all good ways to earn a living. One thing I'm focussed on currently is working towards a PhD on the music of Roger Sacheverell Coke, based at the Royal Northern College of Music. This research project has already led to major recording projects, so it's not purely academic - it's all part of being a musician. I would much rather discover new and interesting music than keep recording tired classics that have been done so many times before." "As a freelance musician there is rarely an average week – you’re always working on something new and different! There are some things that do feature regularly though. Normally I will make sure I do three hours’ practice in the morning each day, and two to three hours’ admin and emails. If I have a concert or recording coming up, I might do more concentrated practice – but I try to spread it out, to avoid getting exhausted and losing enthusiasm for the music. I will usually have rehearsals scheduled in the week for chamber music, or a day or two might be spent in a recording session. Currently I am also doing some producing for the classical label Lyrita, and adjudicating in the Royal Overseas League music competition. I teach one day per week, and spend time in the British Library researching the music I'm performing. A significant amount of time is also taken up by meetings, networking, and by my role as Director of Music and Trustee at Conway Hall. I try to keep my evenings free, because having a social life is really important for your health and happiness. I make an effort to go to concerts, and I also make time for exercise." Do you have a favourite piece, pianist or recording? "My current favourite thing is this YouTube video of Martha Argerich at Carnegie Hall in October 2017, playing Prokofiev’s 3rd Piano Concerto. She’s 76 years old and it’s simply a masterclass in piano technique – it will definitely be featuring in classes at this year’s Ingenium Academy Piano Programme! Another influence on me is Nelson Freire. He is one of those slightly lesser known but incredibly inspiring pianists - I love his no-nonsense, ‘old school’ playing." Do you have any favourite musical memories of experiences that inspired you? "One important musical memory for me happened quite recently, only about 5 years ago. It was a performance of Bach’s St Matthew Passion, given at St John’s Smith Square by Polyphony and the Orchestra of the Age of Enlightenment. Until then I had a healthy respect for Bach, but found him less engaging than later composers. This concert opened my eyes to the true power and emotion of the music, and completely changed my view of the composer." "My advice to myself is actually to seek advice. Get advice from as many people as possible, and try to speak to people who are similar to you in what they have achieved, or want to achieve. Advice is really important when you are looking towards the future, and it’s crucial to get multiple points of view." What is your favourite thing about teaching at Ingenium? "The unfailing enthusiasm and passion of students at Ingenium is really inspiring. There are a variety of levels, which makes the teaching interesting, but what’s remarkable is the way the students constantly encourage and inspire each other. It’s a real culture of support, in which the most and least experienced visibly help each other to work towards their potential. I also love learning from the students myself – it’s a two-way street. Ingenium students come from such different backgrounds across the world and have often learned techniques in a very different way to me. It’s very eye-opening." What's coming up for you in the next few months? "Highlights in the next few months include a performance of Medtner's 3rd Piano Concerto in May, at the De Montfort Hall in Leicester. I'm also making another recording with Hyperion in June, which is the first ever recording to feature the solo music of composer Jean-Louis Nicodé. After Ingenium 2018 I'll be travelling to Husum, Germany for the Festival of Piano Rarities, which will be broadcast live on German radio in August – so students might hear me practicing some weird music during Ingenium!" 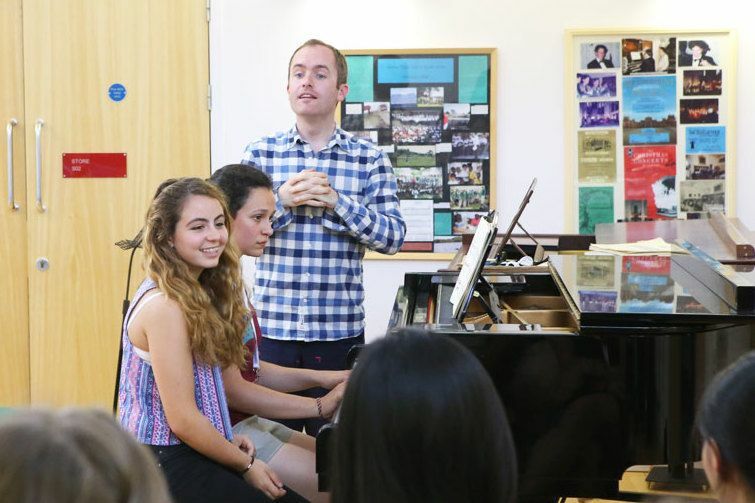 Would you like to spend your summer studying the piano with Simon? Take a look at our Piano Programme, download our brochure, and get started with an Application Pack today. Any questions? Send us an email at info@ingeniumacademy.com.